Our church has a strong heritage of investing in young people. If you go into our church office, you can see black and white pictures of rooms full of kids. I’ve heard stories of our youth pastors spending time on the local school campuses to help most students find and follow Jesus. We used to have a large youth choir where hundreds of lives were impacted for Jesus. A few decades ago we built an entire building dedicated to reaching families with young children at home. Did you know Jesus placed a high value on kids? (read Mark 10:13-16). Think about these verses, your church history, and what we can do to carry that torch. During His public ministry, Jesus strongly emphasized the value of kids. The story in Mark cannot be appreciated without a realization of the lowly place children occupied in society during that time, more so in pagan culture than in Jewish culture. Even just two hundred years ago, 43% of infants died before the age of five. I once heard that some children weren’t named until five years of age because so many children didn’t live that long. The Greek word for children in verse 13 refers to an infant through a twelve year old. Jesus called these children to Him, He knew the value they held in God’s Kingdom. He modeled this high value by spending time with them and inviting them to be around Him. Jesus referred to them as being an example for having a childlike faith. Jesus wants us to model the faith that little kids model, He is using this as a teaching moment! You’ll notice the disciples weren’t too keen on the kids coming to Jesus, though. They probably thought Jesus was too important to waste His time on them. But Jesus taught us where importance lies. Sometimes our response to kids is similar to that of the disciples. We think that the holy things of God are too important for Jesus to waste His time on little kids. That is why this account is in the Gospel. We have to be reminded how important kids are to Jesus. They are so important that Jesus rebuked some of His closest friends to make His point. The Bible tells us that Jesus was “indignant” at the actions of the disciples. Jesus felt anger about the kids being pushed out of His presence. Why would Jesus do that? Let me remind you about the vulnerable nature of kids that Jesus knew and is still true this day. Children are weak, helpless, and dependent on others. Kids need the help of caring adults in their life. As adults, it is our job to protect the kids in our care. As a parent, it is my responsibility to provide for my kids and take care of their needs. Kids need people like Jesus to step up and protect them. Jesus was telling us that kids matter. I’m not telling you anything earth shattering. 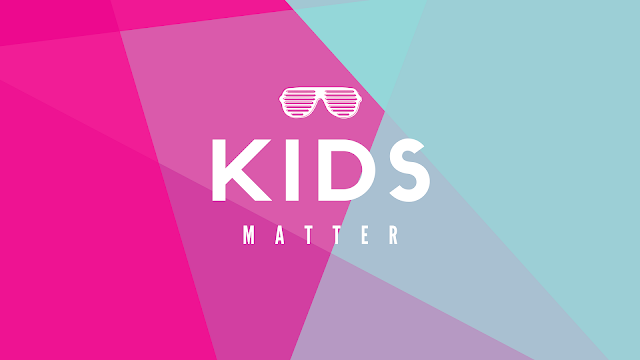 I’m sure you think that kids matter, but do you act like kids matter? Sometimes we care more about things than kids. We can focus more on our phone than building relationships. We can think more about our bank account than spending that money to make memories with our children. Our church has decided to put a high value on young people. You might ask why we are putting such a high value on reaching young people. It’s a great question that I’d love to answer. Barna resource group recently published that over 50% of millennials are leaving the church. Studies tell us that almost 60% of young people who grew up in the church are walking away. They are walking away from their faith, their community, and away from a Jesus who loves them. We can’t sit around and watch that happen. Because of that, we’ve decided to intentionally invest ourselves and our resources into helping more kids find and follow Jesus. We feel strongly about this. Students are walking away from the church. Kids are hopeless. Teen suicide rates are increasing at an alarming rate. We are multigenerational and kids matter here. This doesn’t mean if you are not under eighteen you don’t matter here. We think that everyone, at every stage of life matters to God. This means that young marrieds, families with young adults, people at the peak of their careers, and retired folks all matter to God. Each of us are children of God. You might say, “Neal, I’m not a believer in Jesus yet.” I understand, you are still a child of God, you just might not be living like it. People who are following Jesus and people who are seeking out Jesus all matter here. Jesus wants us to put a high value on people. What we do for kids will change how they see God. Creating engaging worship services for retired folks is important. People at every age are important because we are multigenerational church. Now it’s good for us to know that almost 70% of people who are professing followers of Christ made that choice before the age of 18. Reaching young people is a high priority. We want everyone to help investing in someone younger than you are. Now you might be thinking, “Neal is going to ask me to work with middle school students.” No, I am not. Middle school is a tough age, but you might not be called to that. God might use you to invest in young families. Those of you who have been married for a few decades have a wealth of wisdom that you can share with young couples. God might be asking you to invite some couples over just to encourage them in the stage of life they are. If you are nearing retirement, God might have you invest in someone who is just starting their career to be a source of encouragement. Maybe you’re good with finances and could help someone who could improve in their financial management. These relationship can turn into intentional investments into others. I'm thankful that the Bible teaches us that kids matter. This week I'm extremely grateful for the people who invest in my kids. I'm also thankful to be a part of a church who puts a high value on investing in the lives of kids! It was approximately 63 A.D. when Paul wrote his final letter. It was addressed to his dear son, in the faith, Timothy (2 Timothy 1:2a). Paul had been imprisoned before but this time he sensed the imminent fate awaiting him from that cold jail cell. Paul rarely wasted a moment of time, so from that dark cell he wrote another letter to Timothy. I wonder if as he penned the letter he thought about the words of Christ calling His disciples to go and make more disciples. Did he think about all the lives he had seen change over the last twenty plus years he followed Jesus? Paul wanted to leave Timothy with parting words that would encourage him to press on. You’ve probably heard it said, “That having grandchildren is your reward for not killing your kids.” People love to joke about. If you’ve been around parents you will hear them regularly share their struggles with parenting, feelings of inadequacy and regret. Paul was looking for spiritual great grandchildren in the Lord. Paul would most likely never meet those great grandchildren on this side of eternity, but he longed for the gospel message to outlive his earthly life. Paul wanted a spiritual legacy who would carry the gospel to the next generation. Paul knew he needed to build Timothy up to see this accomplished (read 2 Timothy 1:6-14). Isn’t it usually the other way around? Normally its the person on the outside encouraging the person in jail to be courageous. But this isn’t the case with Paul. He wants Timothy to remain strong in his faith. Next, Paul lists out three things in verses 9 and 10: He saved us, He called us with a holy calling, and He abolished death and brought life and immortality to light through the Gospel. The Gospel is all about salvation. That’s why it’s good news. But the gospel is about more than just forgiveness. The God who saved us has also called us to a holy life. God is holy and when God calls a person He calls him to live a holy life, and he begins to mold him for that purpose. But that’s not all, look at verse 10. The gospel is also about “life and immortality.” To make that a reality for us God destroyed death. Jesus Christ is a destroyer of death. He didn’t eliminate death, He put it out of commission; He rendered it powerless and ineffective over us. Spiritually, we’re no longer dead but alive. Physically, though we may die, we’re immediately ushered into immortality. Paul gave Timothy two commands here (verses 13-14). Did you see them? Timothy is to keep and guard. First Timothy is to keep the pattern of sound teaching. Paul stresses the need to have correct teaching. But it’s not only sound teaching. The teaching must be accompanied by faith and love. We can have wonderfully sound teaching but if we have no faith how would we take action on what we’re commanded to do? We can have perfectly sound teaching but if we share the gospel mechanically and without love people won’t respond. These must remain together. A true Christ follower will hold to sound teaching with faith and love in Jesus Christ. Not only will they hold it to, they long for it! Paul intentionally invested in Timothy’s life. He provided encouragement to this young man. Do you have someone you are investing your life in? If you are a Christ follower, will you have spiritual great grandchildren in heaven? God has given us each the same amount of time to invest in others. Investing in others is is a Biblical command. Listen to what John Hagee once said, “If your investments are limited to this earth, you are the world’s worst investor.” Let me make a quick observation about spiritual legacy, people who have a spiritual legacy take their spiritual life seriously. Paul took it serious. This isn’t meant to be a condemnation but an encouragement to focus on your spiritual legacy. Let me give an illustration of what spiritual investors do—they live as spiritual owners. Coastline is looking to develop more spiritual owners, people who leave a spiritual legacy like Paul wanted. These are people who live their life like a manager and not a consumer. Mangers solve problems, while customers think it’s all about them. Managers look for solutions while customers look to be served. Believers should long to serve people at their church and long to help everyone be a spiritual investor. Since coming to Coastline ten months ago I’ve heard wonderful stories of people who are investing in others. Our church has a rich heritage of this. Some of you are here today because a person in this church took interest in investing in your life. The best gift you can give that person is to invest in others. Take the things they taught you and pass them on to others who will pass them on to others. If you have never had someone invest in you spiritually, go ask someone. Find someone who you respect, trust and would like to be more like. See if they will invest in you as you grow to be more like Jesus. Paul begins his second letter to Timothy with his typical greeting and then encourages Timothy to remain strong; or be courageous (2 Timothy 1:6-7). Isn’t it usually the other way around? Normally its the person on the outside encouraging the person in jail to be courageous. But this isn’t the case with Paul. He wants Timothy to remain strong in his faith. History tells us that Timothy was a timid man, it was in his nature to be more reserved. Therefore Paul specifically reminds Timothy to fan into flame the gift of God. This phrase is a rekindling the embers of a flame. The ember isn’t dead, it just needs to be revived. It comes from the Greek word ἀναζωπυρεῖν (anazōpyren). It’s a verb and the tense it’s written in requires action to be done. This is the only time we see it used in the entire Bible. Paul is commanding Timothy to fan his spiritual flame. The text doesn’t suggest Timothy had let his spiritual flame die out. Paul was encouraging Timothy not to let his faith, mentioned in verse 5, die out. 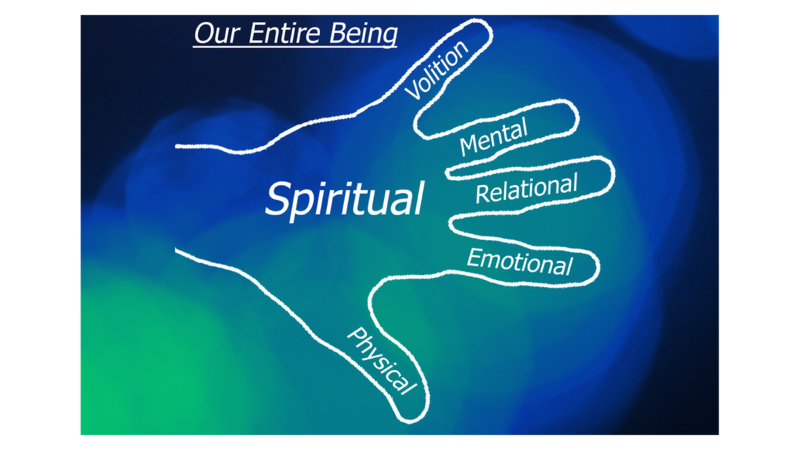 Are you taking spiritual growth seriously? Is your spiritual ember growing weak? Rekindling a spiritual flame involves prayer, obedience to God’s word and taking risks for your faith. It looks like listening more to the voice of God and less to the noise around you. This may be exactly the encouragement some of you need right now. Your faith is still an ember, its not dead, but it may be endanger of dying. Sadly, you have neglected your prayer life and your soul is left parched. It’s become difficult to think of the last time you opened God’s word and allowed it to feed your soul; you have been left spiritually hungry. Because of this lack of prayer and time in God’s word your faith is weak. Take courage as a Christ follower this morning and fan into flame the spiritual ember living inside you. Paul is encouraging Timothy in ways we would expect a seasoned pastor to. By rekindling the flame his courage in the Gospel would be increased. It reminds me of what God said to Joshua after Moses passed away. This is similar to what Paul is telling Timothy. The courage stems from the power of the Holy Spirit working in his life. The love of the Holy Spirit was given, by God, to provide the support to have courage when he thought it was impossible. Have you ever experienced this? Have you seen God give you courage when you’ve felt timid? Fifteen years ago my life was a mess. I was attending my court mandated DUI class in San Diego trying to figure out life. Across the room from me there was this guy in class who always talked about God and the Lord. I knew God growing up but I didn’t expect to find Him mentioned in a DUI class! Well one day I was leaving class. As I walked out of the door this man said; “My name is Brett. If you keep doing what you’re doing you’re going to be dead in five years. 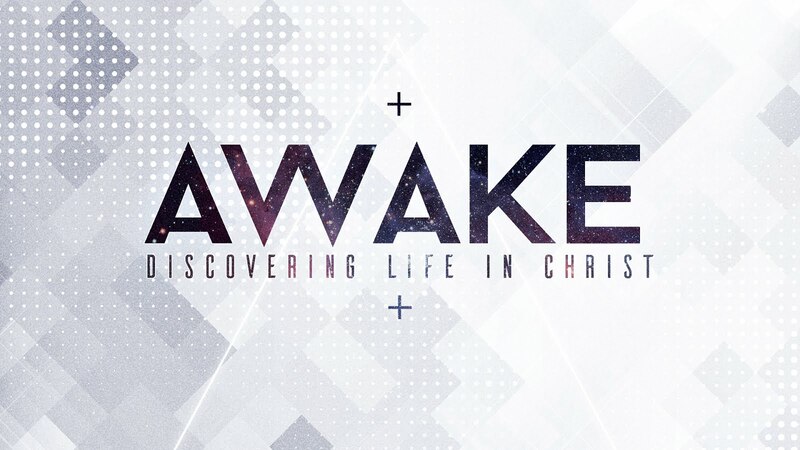 Do you want to go to church with me this weekend?” I was a little shocked, I’m not sure that’s the best evangelism line to use on someone, but he was right. That Sunday Brett picked me up for church. He drove thirty minutes to get me and then we drove thirty minutes back to the church he attended. This went on for almost an entire year. On the car ride we talked about everything; sobriety, purity, reading God’s word, work, school and food. I imagine Timothy perking up in his chair reading this letter from Paul. Now I’m not suggesting you leaving here and getting a DUI so you can meet broken people at DUI school. You could probably think of a few people, who are already in your life, that you could be a little more courageous with. It might be a family member who you can encourage to fan the flame in their life. It might be a friend you met at the gym who shared they used to go to church but have slowly walked away. As Christ followers it’s our responsibility to be courageous and encourage each other. If your spiritual ember is not dead, fan it into flame and respond to the call to help others do the same. A few weeks ago we started a new sermon series at Coastline. For seven week we are talking about core values. The first one I spoke on was "We Put God First." 34 Hearing that Jesus had silenced the Sadducees, the Pharisees got together. 35 One of them, an expert in the law, tested him with this question: 36 “Teacher, which is the greatest commandment in the Law?”37 Jesus replied: “‘Love the Lord your God with all your heart and with all your soul and with all your mind.’ 38 This is the first and greatest commandment. 39 And the second is like it: ‘Love your neighbor as yourself.’ 40 All the Law and the Prophets hang on these two commandments.” Matthew 22:34-40. As calmly as possible Jesus a quoted God’s word to the question asker. He knew the religious leaders were testing Him with the question. He was most likely thinking Jesus would choose one of the ten commandments for His answer. His answer is what is so marvelous. Jesus essentially takes the entire Law of Moses, the pinnacle for the Jewish people, and summarized it for His answer. For our core value of putting God first, we’re going to focus on what Jesus said about loving God. His answer about loving others we’re going to save for another day. Jesus quoted the Old Testament for His answer on loving God (see Deuteronomy 6:5). God’s people wandered in the desert for forty years. They had disobeyed God and their hearts were hard. As the next generation got ready to enter the Promised Land, Moses need to adequately prepare them in the ways of God. So Moses instructed them to love God with all their: heart, soul and strength. Jesus told the religious leaders to love with with all their: heart soul and mind. Both of these men brought about a (w)holistic approach of loving God. They longed for people to put God first in their love, thoughts and actions. Jesus knew if that if you only loved God with your heart, your mind would remain unchanged. If you only loved God with your mind then your heart would be far from the Lord and distant. A complete transformation needed to happen for those who claimed to love God and it would show in all areas of their life. That is what Jesus was saying in His answer to the religious leaders who tried to test Him. When I was in seminary I had a prof who helped me see how my entire life was connected. Let me show you this quick graphic. All of the different areas of our life impact each other. When we are having a hard time emotionally it impacts our spiritual life that that impacts our thinking. 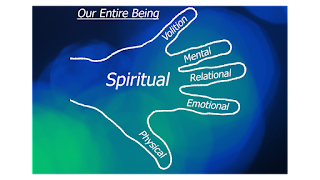 Our thinking impacts our decision making process through our spiritual life. Our choices impact our spiritual growth and so on. Do you see how all of these areas are connected? Jesus instructed us to love God with all our heart, soul and mind, because He knew the interconnectedness of our soul. Now did you notice that neither Moses or Jesus said this was a buffet of choices? It was never; “Here are three options, you choose how you want to love God and put Him first in your life.” It was always to love God with everything we have been given. Now you might be wondering why you should love God. You might be trying to decide if God is worthy of your love. You might be thinking about what will change in your life if you love God. The Bible tells us that God created us. It was in the very beginning of time. God created the earth, air, light, plants and animals. But God saved the greatest of His creation for the very end; mankind. Some people don’t believe that but stick with me. God is worthy to be loved because He created us. You are God’s greatest creation. If you are looking for purpose in life, look to God. You can fully love God because He is your creator. Live your life as God’s greatest creation. Love God because He created you, loves and longs to be in a relationship with you. Too often we miss this. We think that all we’ve done in the past disqualifies us for God’s love and that is far from the truth. The best way to figure out how God loves you and how to love Him is to read the Bible. You can start reading the Bible right now. You can use an app, the paper version or find a great reading plan online. If you’ve never read the Bible start reading the Gospel of Mark. It’s a short account and action oriented. If you’ve been reading for a while, try reading the entire New Testament in the next four months. Be creative and make reading the Bible a habit. I think it will help you see how much God loves you and help you understand the need to put God first. We are a church that will be known for putting God first. Our church is committed to the God of the Bible. He is our ultimate authority. He is the object of our worship. We believe the Bible is the inspired word of God and live our lives in obedience to its truth. Our response is to leave a life of sin and selfishness and follow Jesus. To put God first means that nothing else is the top priority. 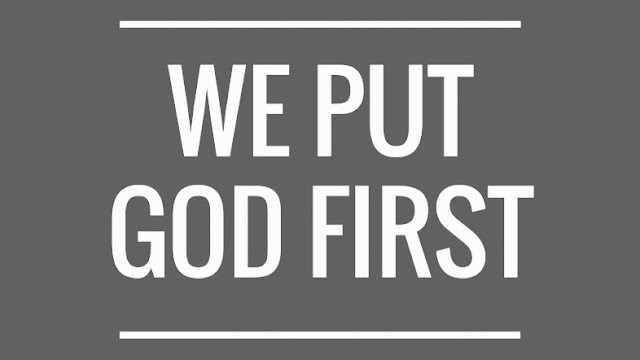 The most important thing at Coastline is God; we put God first here. I have a dream of a church where all the people put God first in their lives and encourage others to do the same. I have a dream of a church that is more concerned with the will of God than a personal agenda. I have a dream of a church that is so focused on God that nothing more will satisfy. I have a dream of a dream of a church that starts a movement of Godly people. I have a dream of a church where men, women, teens and children put God first. Imagine a people seeking God more than a successful career. A church where students care more about God than sports or test scores. A church where parents pray with their children. A church where grandparents give sacrificially for their kids to know Jesus. A church where people in the prime of their life model putting God first until they stand in His presence. That is the kind of church I want to be a part of. A church that is committed to putting God first. On January 4, 2018 my mom fell and hit her head. The biggest problem is that no one knew she fell... and no one knew she hit her head. I called her the night of her fall but she had been coming down with a cold so she just told me she was tired. The next day I called again and it was evident something was wrong. Our good friend, and pastor, Mike Barnes went to her home. She was lucid and he called an ambulance. She went to the local hospital in Big Bear Lake and six hours later was medical-evacuated by helicopter to UCLA Medical center. I beat my mom to the hospital and was the one who signed for her to have life saving brain surgery. My sister flew out and my wife sat by my side as I wondered what would happen to my mom. It was a tense time. Today I can write about the experience with more perspective. It has been just over three months since my mom fell. She regularly goes to doctor appointments, takes long naps and continues with speech therapy (she graduated from physical and occupational therapy). 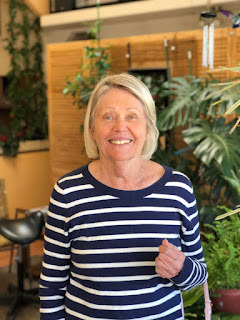 At this stage in her healing my mom is unable to return to unassisted living. We felt like the best solution was to have her live with us. She has been with us for over two months now and has progressed greatly. She no longer needs a walker to get around. Her surgery was a success. There is no more fluid in her brain. Her speech is about 80% back to normal. When you look at this picture you can't tell anything happened to my mom. Unlike breaking an arm or leg, my mom never got a cast. She didn't have pins put in her arm to help it heal. For people who have a Traumatic Brain Injury (TBI) you can't tell they have been hurt. This has been one of the biggest eye openers for me. She never had a cast on her head to let the rest of the people in society know something happened. She smiles all the time (ok, most of the time). She can tie her shoes, feed herself and preform most of the tasks you and I can preform. She may never drive a car again. She is terrified to fly again. She is scared that someone at the store will bump her and she will fall down. She has irrational fears that we get the privilege of seeing her overcome with the help of God. My mom graduated from college and taught school for almost thirty years. She is a bight woman and a hard worker. When she left the hospital she could barely read. She began reading Dr. Seuss books with my kids. She humbled herself and checked out second grade reading level books. She sat on the couch and asked us what words meant; it was tough to see but encouraging. She just finished her first novel (at her reading level). She has grown but it has taken time. This whole situation, as painful as it is, has taught us the value of life again. God is a life giver. People with a TBI have it tough. My mom gets very tired at night. Her speech is less understandable as the day wears on. Regularly she looks at me to help her finish a sentence, just like a younger sibling would look to their older sibling for help. She is growing and God continues to help her make small advancements. With all this said, you might walk by a person today who had a TBI. You might pass them in the store or they could be sitting in the car next to you (hopefully not driving yet). You might not be able to tell the person had a brain injury. They may look normal on the outside but on the inside they have experienced a very difficult injury. At the end of last year I began asking God for a vision for our church. I wanted a God-sized goal, something that if God didn't show up it would never happen. I began writing notes in my journal. I stayed up late in bed asking God to speak. I didn't want to just say some goal and it not be from God. At the beginning of the year I began to get a sense of what the goal would be. I started talking with some of our staff and Elders about reaching more people at Easter. See, we've been working on relaunching Coastline Bible Church. We haven't done an "official" relaunch date but are working on restoring the church to what God wants it to be. In early January we called a special meeting to share the God-sized goal with our church. It would take all of us pitching in. It wasn't something I could accomplish on my own. See when I got to Coastline we were a church of about 160 people on an average Sunday. Within a handful of months we broke 200 for the first time. Then on Christmas Eve we hit 280; God was working in the hearts of His people as we cast a new mission and direction for the church. Now what you're waiting to read. Easter Sunday came. We had trained dozens of leaders for the increase. We doubled our volunteer base so we could launch a second service. We slotted a huge breakfast to keep people around and talking. God showed up on Easter. We had a number of people accept Christ as their Savior. When the count came in, we reached 383 people on Easter Sunday. Our church swung for the fences and we hit the wall! It was a huge win. People were and still are rejoicing in all God is doing at Coastline. I'm sharing this not to brag on me, but to brag on God and all the amazing people here at Coastline. Keep seeking Jesus. Pray for the 100,000 people in our city that aren't in a relationship with God. Pray for the over 700,000 people in our county that need to hear the truth of Jesus. We are going to keep swinging for the fences to help more people find and follow Jesus. Yesterday we celebrated Easter. At our church we looked at Matthew 18:1-15 and talked about how Jesus rose from the dead. Now I understand that not everyone believes this statement (and I'm comfortable with that). For many years I lived my life in contrast to the commands of God. Take the next four minutes and think about the cover up of Jesus' resurrection. The religious leaders wanted to minimize the impact that Jesus had on this world but the grave couldn’t hold Him down. A stone, a seal and some soldiers couldn’t stop the plans of God. The soldiers had to fess up that Jesus wasn't in the tomb and that an angel came and rolled the stone away so we could see the grave was empty. Look at the length the Bible tells us the religious leaders went to try cover up the resurrection of Jesus. If you don’t think that Jesus rose from the dead, let me ask you a few questions. If the soldiers were sleeping how did they know it was the disciples who stole Jesus’ body? History tells us that Roman soldiers were trained to take on up to three men at a time. One man was able to overpower three men. The disciples were teenage fisherman when they met Jesus, they were in no way trained or prepared to take on these men who stood guard. Even if the soldiers did admit to sleeping on the job, why weren’t they executed? The standard punishment for sleeping on the job was execution. Even if they did doze off, these men were trained to sleep lightly and would have woken at the first sound. The body was missing on Sunday morning and these guys drive into work Monday morning with brand new cars. Everyone in town had to wonder what was really taking place here. The day after Easter 2018 might be the day you logically grasp the resurrection of Jesus!